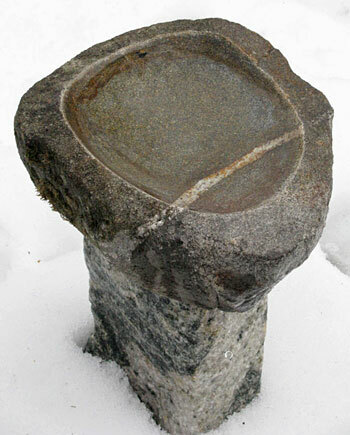 A bird bath with a quartz seam makes a perfect garden accent, especially in the winter. 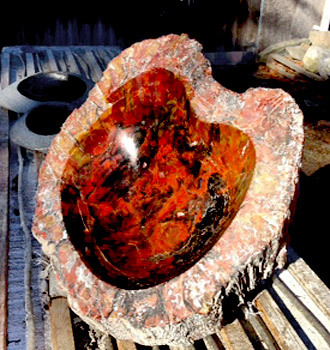 Andrew Mintz takes the hardest material nature can throw at you, granite rocks, and carves them into delicate bird baths. 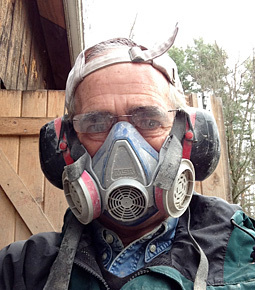 Andrew Mintz comes from Stow, Massachusetts bringing a truck load of granite rocks that he has meticulously carved into birdbaths. This is no mean feat, and you have to be a bit crazy to take on this task. Andy does it with great aplomb! Granite is hard stuff! He first reams out the rock with a diamond tipped circular saw, then proceeds to gouge out the rough area with tools he improvised for the task. 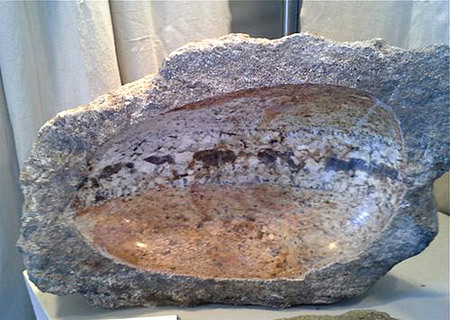 The final product is a finely polished surface that reveals the beautiful texture and color of the stone.